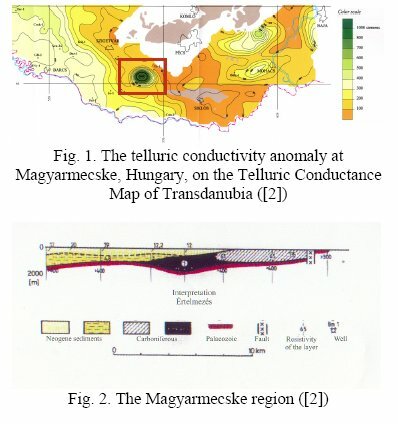 A more or less circular high-amplitude telluric conductivity anomaly is located at Magyarmecske, in southwestern Hungary. 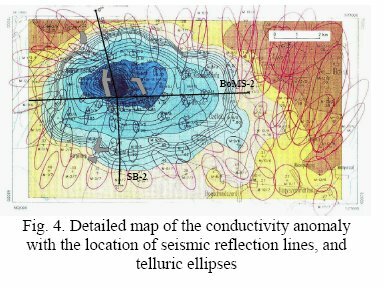 The authors collected and reinvestigated all available geophysical data previously measured in the area; based on this information it was concluded that the conductivity anomaly may well be explained as a buried impact crater. 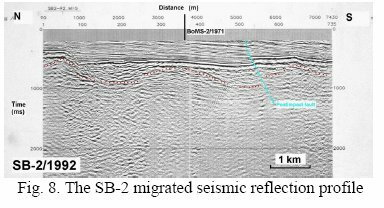 It is assumed that when the impact occurred, the target area was covered by a thick, coal-bearing Carboniferous sedimentary sequence. 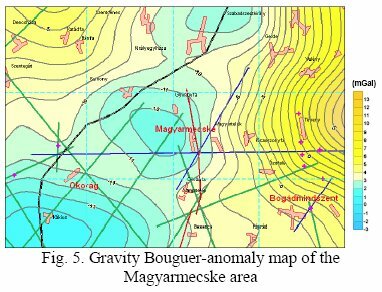 The projectile created a complex impact crater in these deposits, of a diameter of approximately 6-8 km. 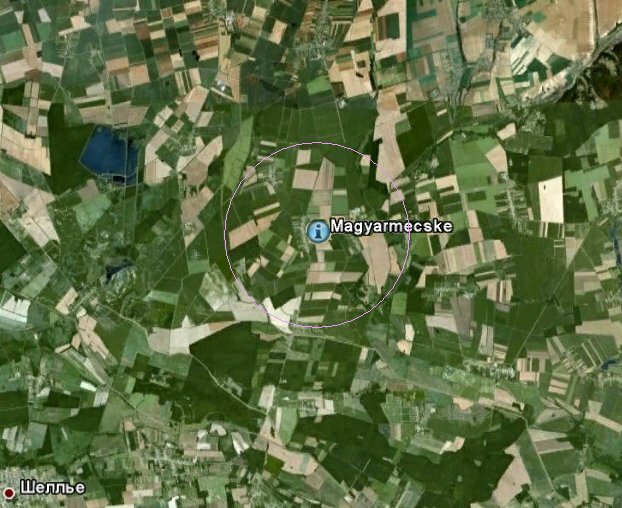 In the neighborhood of the crater the coal was modified by the impact's heat and pressure. Later the impact structure was partly eroded, partly deformed by younger tectonic movements, and covered by Neogene sediments of strongly variable thickness. (Bodoky Tamas, Don Gyorgy, Kis Marta, Kummer Istvan, Posgay Karoly, Sores Laszlo, 2007). тБУУНБФТЙЧБАФУС ТЕЪХМШФБФЩ ЙОФЕТРТЕФБГЙЙ ЛТХЗПЧПК РП ЖПТНЕ БОПНБМЙЙ ФЕММХТЙЮЕУЛПК РТПЧПДЙНПУФЙ, ТБУРПМПЦЕООПК ОБ РМПЭБДЙ нБЗЙБТНЕУЛЕ, АЗП-ЪБРБДОБС чЕОЗТЙС. бЧФПТБНЙ ЧЩРПМОЕО БОБМЙЪ НБФЕТЙБМПЧ ЗЕПЖЙЪЙЮЕУЛЙИ УЯЕНПЛ, РТПЧЕДЕООЩИ ОБ ДБООПК РМПЭБДЙ. йНЙ УДЕМБО ЧЩЧПД П ФПН, ЮФП ЛТХЗПЧБС БОПНБМЙС ФЕММХТЙЮЕУЛПК РТПЧПДЙНПУФЙ, ЛПФПТБС Ч РМБОЕ УПЧРБДБЕФ У БОБМПЗЙЮОЩН РП ЖПТНЕ ЗТБЧЙФБГЙПООЩН НЙОЙНХНПН, ЧЩЪЧБОБ РПЗТЕВЕООЩН ЛТБФЕТПН, ПВТБЪПЧБООЩН Ч ТЕЪХМШФБФЕ РБДЕОЙС ЛТХРОПЗП НЕФЕПТЙФБ. рТЕДРПМБЗБЕФУС, ЮФП ЛТБФЕТ, ДЙБНЕФТ ЛПФПТПЗП УПУФБЧМСЕФ 6 ЛН, УЖПТНЙТПЧБО ДП ЛБНЕООПХЗПМШОПЗП РЕТЙПДБ Й РЕТЕЛТЩФ ФПМЭЕК ПУБДПЮОЩИ РПТПД НПЭОПУФША Ч 1000 Н. (Tamas Bodoky, Istvan Kummer, Karoly Kloska, Tamas Fancsik, Endre Hegedus, 2004).